The natural trend has seen impressive growth since the start of 2018. 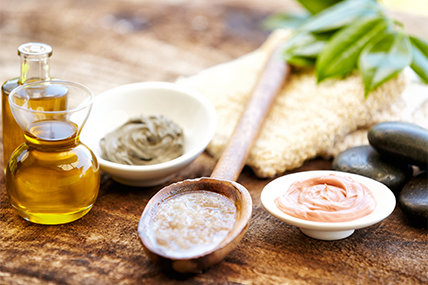 As consumers become savvier and their product knowledge better than ever, natural ingredients, personalisation and wearing less makeup are the key factors driving this trend. Embracing natural beauty is becoming more important in today’s society. In the past, women were encouraged to cover up their grey hair and conceal wrinkles. In Italy, for example, grey coverage is 17% less likely to be cited as a motivator for colouring hair than in previous years. Celebrities such as Demi Lovato and Gwyneth Paltrow are championing the ‘no-make up trend’ by sharing selfies wearing less makeup, and advocating a more natural look. Data from our Usage care service shows that in 2018, over a third of women in Poland, Brazil, Great Britain, Spain and France claimed they wear little makeup. As this trend progresses, leading to simplified makeup routines - how can you make sure you’re the brand of choice? With the big media and consumer focus on sustainability in 2018, shoppers are becoming more environmentally conscious. A number of beauty products have been called out for being damaging to the environment including face wipes, with many surprised to discover these contain plastic. A recent Worldpanel Plus survey of 12,000 British consumers found 44% are increasingly concerned about single use plastics and 70% planned to cut down or switch to sustainable alternatives. The result of this heightened awareness is clear - wipes are now down by 11 million occasions, with 2.5% less German shoppers, for example, using them. With as many as 46% of the British population claiming they ‘avoid products that are harmful to the environment’ what is your brand doing to keep up with the trend? Using usage care data we can further explore the relationship between category usage and the natural trend to help your brand identify and leverage important opportunities.